Setting up and using On1 Photo RAW Photo Editor for beginners. 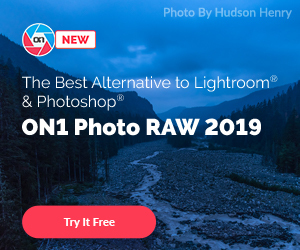 On1 Photo RAW 2018 is a complete suite of tools for both professional and amateur photographers. It includes a super fast browse module that lets you quickly view, manage, tag and organise your photos without having to upload them into a dedicated library like some other editing apps. It is as professional as it is fun to use with state-of-the-art non-destructive raw editing and industry standard image resizing, enlargement and full print capabilities. It also allows you to let your creative juices run wild with the Layers Module and a plethora of creative editing tools. It's also non-destructive when working with RAW, JPG, Photoshop, PNG and Tiff files. This is really important as you never want to overwrite the original image data - NEVER! If you prefer to work with an existing raw editing app such as Photoshop, Lightroom, or Apple Photos it will also work as a plug-in so you can preserve your current workflow. Take note of the system requirements…the app may have trouble operating properly if you do not have the minimum requirements. There’s nothing worse than having your app freeze up, slow to a snails pace, or totally crash because your system can’t handle it. You can purchase the software immediately or take advantage of the 30 fully featured free trial. Head over to www.ON1.com and choose either the Free Trial or Learn More/Buy Now button to get started. Grab the 20% discount code in our Free Members Area. If you have Adobe Photoshop, Elements, or Lightroom, the plugins will be installed automatically when you install the stand alone app. You will need to create a User Account, and don’t worry, it’s worth it! This is where you access the most recent version of the app and other purchases, user guide, free stuff and handy training videos. You’ll need to log in to your account to activate the App. For the remainder of this article everything will be in reference to the standalone app rather than the plugins. There are a couple of settings I would recommend that you customise in the Preferences. Click on On1 Photo RAW (MAC) or Edit (PC) in the top bar, and go to Preferences. 1. Scrolling Controls: I use brush size but don’t leave your mouse scroll feature doing nothing - Preview Zoom is good too. 2. Preview Background Color: Personally I think images look more vibrant with a dark background - I use Dark Grey. 3. Accent Color: Choose one that you love! 4. Start In: Browse! Common sense. 5. Tick and tick for ‘Check for updates’ and ‘Warn when leaving files in layers’. Not terribly relevant when you are just starting out as these settings are for when you are editing in the Resize Module or external editors, but here is what I recommend. 2. Color Space: Every photographer has a different opinion here…currently I use sRGB, and Adobe 1998 would be my second choice. 6. Apply Lens Correction Automatically: I did have this on but really…it’s easy to tick the box in the Develop Module if you think it needs adjusting. 1. Ummm….since moving to On1 Photo RAW I just don’t see the need for Photoshop or Lightroom…it was actually a pleasure to move away from them so for me, plugins settings are irrelevant. Do save as a Smart photo (re-editable) if you use these. 2. Scratch Folder: This is your memory cache for faster editing actions. Most likely you’ll leave this as is unless you need to use an external drive to store it. 3. Browser Cache: If you have a fast computer you can increase this. Otherwise, if you are having problems viewing thumbnails in Browse, try resetting it. 1. If you have images stored in the cloud tick the ones that you want to access. 1.Simply choose your preferred service to sync your photos with your mobile IOS device if you want to use the On1 mobile app. Simply open On1 Photo RAW and navigate to your image folder as you would with your standard computer app - Finder (Mac) or Explorer (PC). You can also ‘Favorite’ folders for faster access to your most important folders. Simply drag the folder from the Local Drives or Cloud Storage to the ‘Cataloged Folders’ section and On1 will index your photos in the background without moving them from wherever they are stored. The Photography Basics Course and the Beyond Basics Membership are the place to be! Learn how to take the best quality 'base images' for photo editing...including camera settings, composition and what to avoid...before stepping into the creative world of editing your images and making masterpieces to print and share! In the Photography Basics video lessons we go through the ON1 Photo RAW modules as you watch me edit photos with all the tools. Heaps of video tutorials, graphics, cheat sheets, private facebook community and feedback and live Q&A with me week after week.